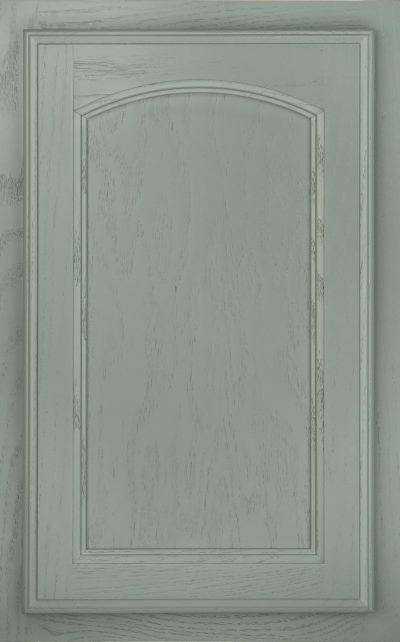 Door features eyebrow arch with mortise and tenon solid wood frame and veneer flat center panel. 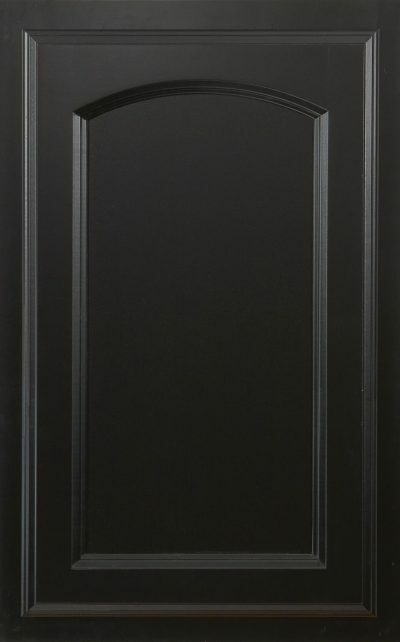 Orders in Keaton receive the Centennial door on 9″ wide wall cabinets, base cabinets and lower doors of tall cabinets. Vanity wall and vanity base cabinets receive arch design.